Known as "The Trucking Insurance Experts", Roemer Insurance has been a leading provider of commercial truck insurance products to fleets of all sizes since 1934. Roemer Insurance has provided comprehensive semi trucking insurance plans for over 80 years, and we have been the publisher of the Roemer Report, a critically acclaimed digest of the trucking industry for 30+ years. 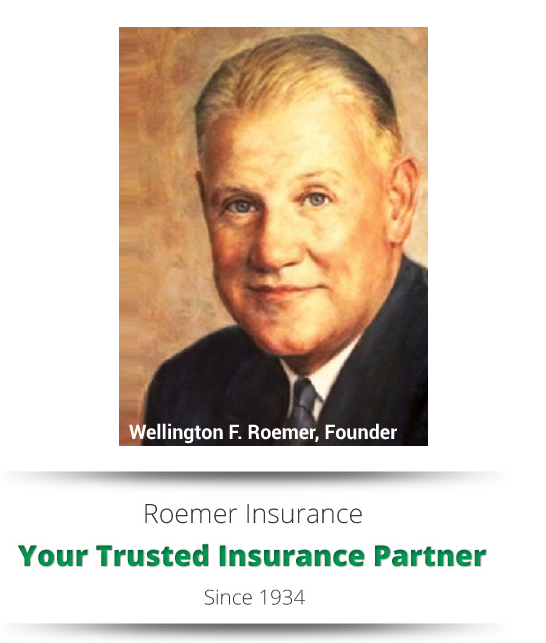 Collectively, we at Roemer Insurance have more than 250 years of semi trucking insurance experience. 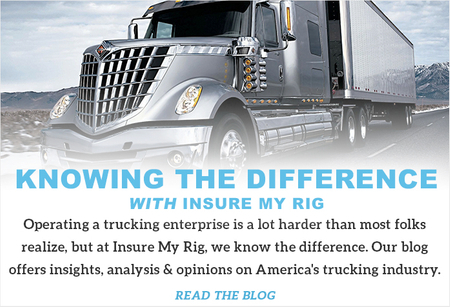 InsureMyRig.com is a division of Roemer Insurance exclusively dedicated to the trucking insurance needs of owner/operators and smaller fleets nationwide, and we understand and appreciate your specific product and service needs. Our book of business is 99% trucking and trucking-related businesses, Our decades of experience will make your purchase of commercial truck insurance easier on you. We present American Truck Companies with coverage options and assist them in securing affordable commercial truck insurance. We are excited to announce that Insure My Rig has joined AssuredPartners as of September 2018! For fleets of more than 20 trucks, click here to go to our large fleet division. Managing trucking insurance needs and getting an insurance quotes online saves you time and money, Insure My Rig provides fast, reliable services to our clients at an affordable cost. Our comprehensive insurance plans will make getting insured and on the road simple for you. Because of our competitive pricing and above-standard service, our retention rate averages over 98% annually. Simply put, we keep our customers happy. You may submit a request for an insurance quote online or you may contact us directly to learn more, either by email or by calling us at 888-931-1934. "Two years ago I decided to change careers to escape office politics and daily drama. I chose to enter the logistics business as a hotshot carrier (heavy duty pickup and gooseneck trailer). After much research, I applied for my DOT authority and purchased my equipment. A friend that had previously driven trained me to drive my rig and secure my loads. It has been a very educational and interesting adventure. I have many roles in my company including driving a rig, dispatch and accounting. I travel across a majority of the U.S. hauling metal products, building materials including commercial A/C units, machinery and other such loads.. I have found there are very few women that drive flatbed solo and even less that operate a hotshot rig. I went through several insurance agents in the beginning because they lacked knowledge of the trucking industry. I sought an agency that could answer my questions and offer me the best coverage for my needs. I searched the Internet and found several trucking insurance companies. I contacted several of them and chose Roemer Insurance based on the responses I received from the staff. They were very knowledgeable and was able to explain insurance coverages and the CSA process in terms I could understand. The whole Roemer team have been instrumental in me being able to continue a profitable business. I have now mentored several others to start their hotshot businesses. When it comes to trucking insurance, I refer them to Roemer Insurance."